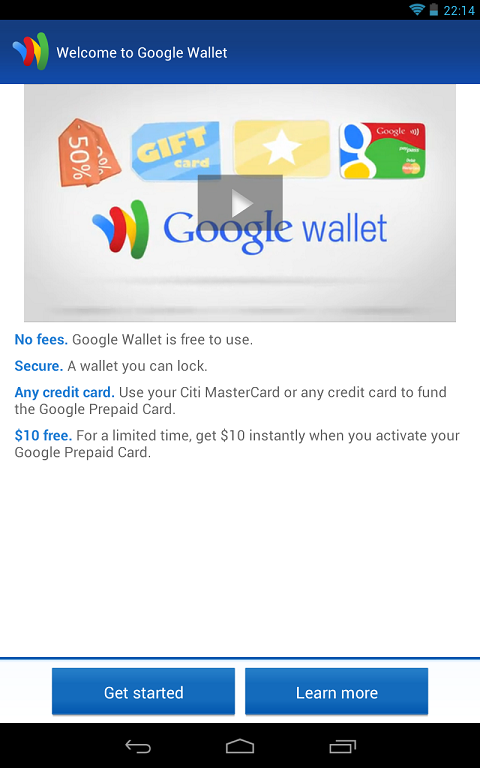 Google Books, Google Music, and Google Wallet. But to my surprise, nothing of the above mentioned services were available since those were only meant for users living in USA (United States of America). So as usual my search began to look for a workaround using which I can get my hands full of all those above mentioned goodies. It was not much difficult workaround and I applied the same method we earlier showcased on our article Get Amazon AppStore working outside US. So for all your folks out there living outside US and want to get their $25 credit, below is the method you can use. (For free!) We recommend you to please read through the full articale and associated links as this will develop a basic understanding needed to carry out the process. 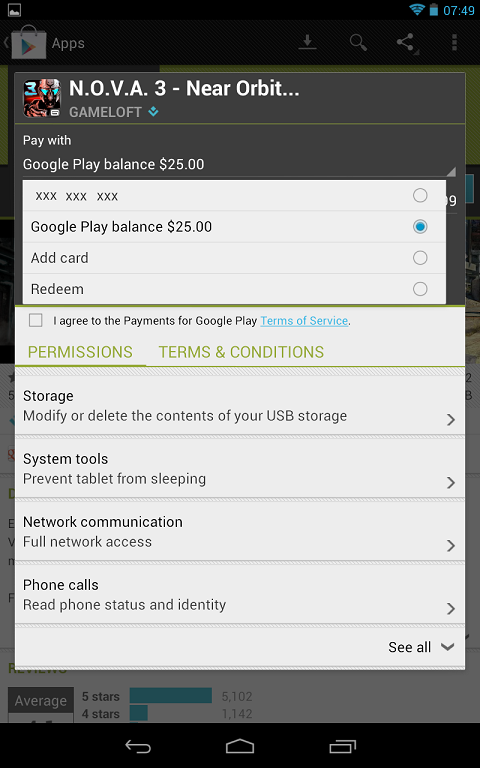 Method One – Get Google Play credit without reseting your Nexus 7. We recommend using this one, it will allow you to start fresh and get the feel of the original Nexus 7. IMPORTANT NOTE: If anywhere in the process or at any time you are required to set a Google Wallet account, just make sure you register your home address as US country. It may or may not be the correct address but select the country as US. STEP 1: Follow one of our previous posts ‘Sharing your PCs VPN with your Mobile devices’, in order to share your computers VPN connection with your Nexus 7. After completing the steps mentioned there, you will now have a VPN connection shared over WiFi. OR by following us @abtevrythng on twitter! This will help you stay updated with all other cool things we write on our blog and encourage us to write more workarounds, tricks and tips! STEP 4: Yes! You did it, it’s that simple! 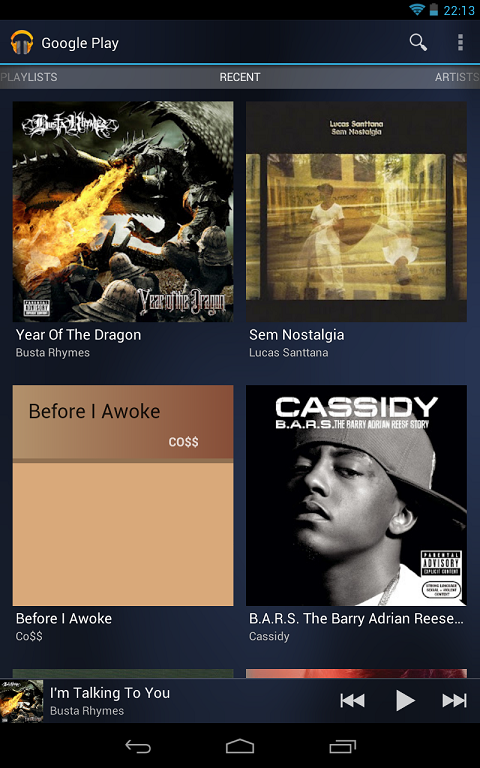 Now open your Google Play and start purchasing! Here is how the purchasing process looks on your Nexus 7. 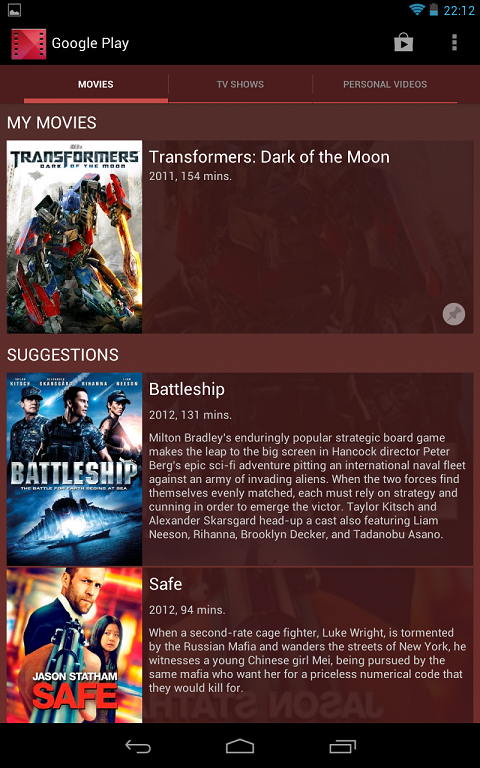 Also Explore Google Movies, Google Music, Google Wallet and the full Google Play on your Nexus 7 outside US. Use this method if you do not want to Reset your tablet. 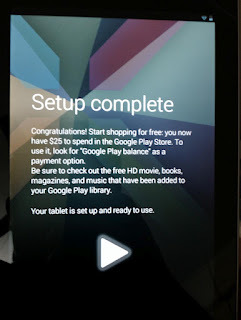 Please note that the method given above provides you with the best possible experience you can get on your Nexus 7 tablet. If you use this method you will add more clutter to your device as it will be associated with one more account and everything else that comes with it the images, emails, contacts etc. If you still are too afraid to reset then go ahead with this. STEP 2: Open settings and go to Apps. 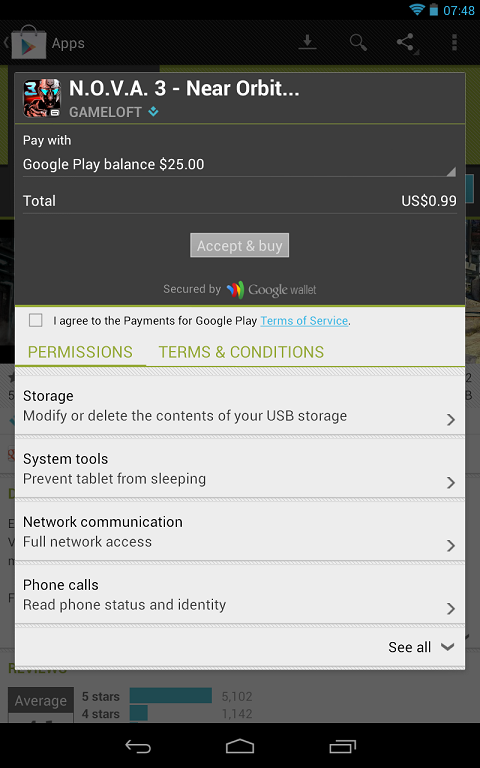 Slide to go to the running apps, find Google Play and tap on it. You will now be presented with option to Stop this service. 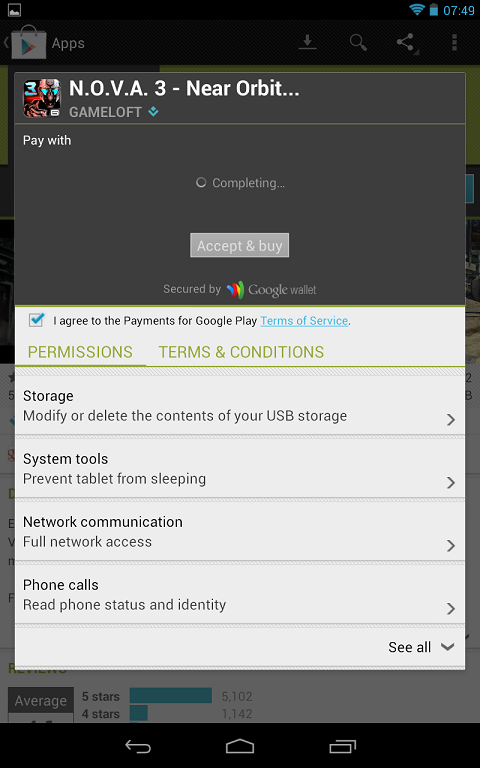 Click the Stop service button to end the Google Play Process. STEP 3: Now connect to your Wifi network. 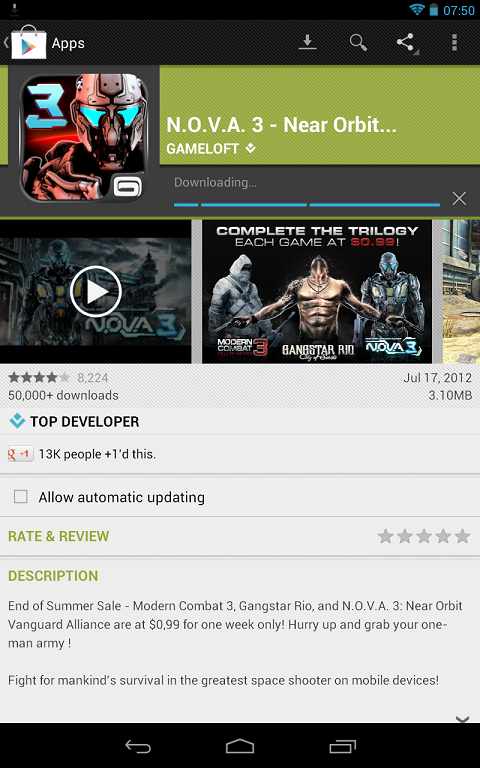 And open the Google Play app. Go to settings and click Add another Google Accont. Go through the process and upon finishing you will receive your $25 credit associated with the new Google account you added. Happy spending! Don’t forget to follow us on Facebook to stay updated with more such cool tricks to optimize your Google Nexus 7 usage! You can always leave comments if you have any doubts or concerns, we will be happy o answer them all!